Featured Face of the 2018 Champagne Brunch is Bonne Prince Harry, owned by team member, Laura Palmer. Photography generously donated by CCPT team member: David Benjamin. 2018 Champagne Brunch a huge success! 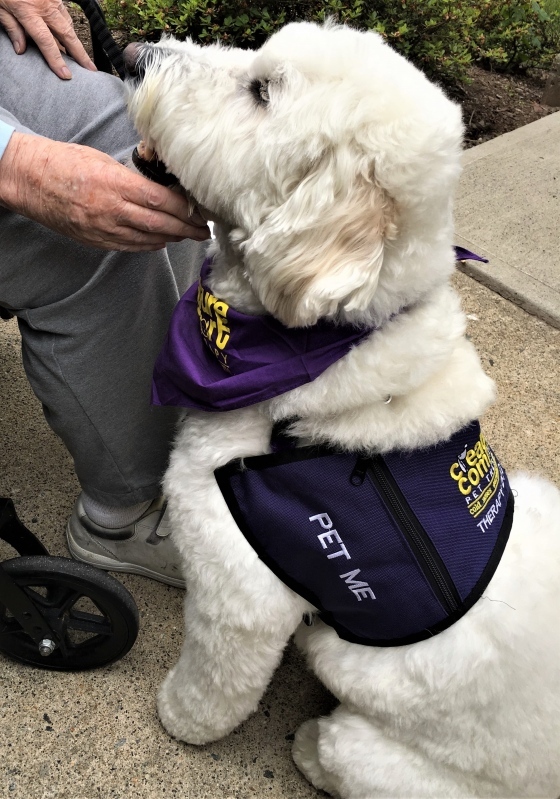 We are excited to report that the money raised will allow us to continue to expand our important mission of enhancing lives through therapeutic visits with caring volunteers and their pets​. 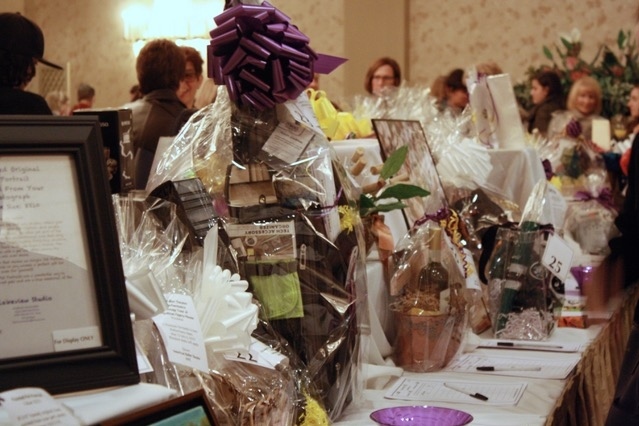 The 2018 Champagne Brunch, held at the Birchwood Manor in Whippany, attracted 215+ attendees and was a rousing success, generating the highest net income in the event’s history! Guests were greeted in the lobby by team members Laura Palmer and Bonnie Prince Harry and Jan Hines and Havana. They enjoyed music by Erin Bolding and champagne by Organic Vintages, as they perused the silent auction items and raffle gift baskets. The program started at noon, with an introduction by the event’s Master of Ceremonies, Heather O’Rourke, CCPT team member and traffic anchor for Channel 7 WABC-TV Eyewitness News This Morning. Joe Caruso, Board Chairman, then led everyone in a toast of celebration and thanked all of our volunteers, supporters and guests. 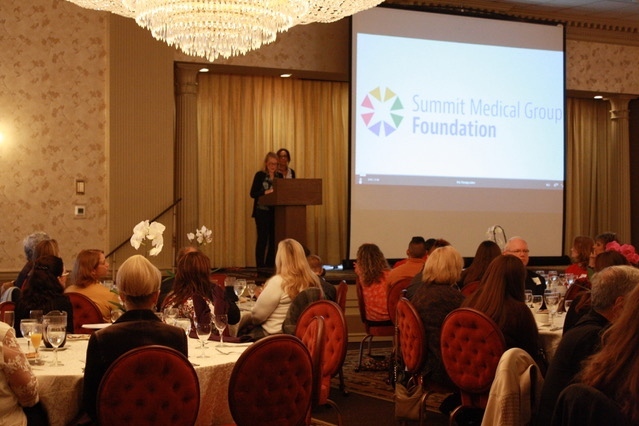 It was then time for the event’s Honoree and our facility partner, Summit Medical Group Foundation, to address the crowd. Pamela Singer, Associate Director of Community Engagement, recounted how determined she was to bring CCPT’s services to the Summit Medical Group facilities, and Monica Cotton, Patient Navigator, described the profound impact that CCPT has had on the SMG patients and staff. Mary Beth Cooney, Executive Director, further explained how CCPT teams bring comfort and caring to those in need and she reported that our volunteer teams collectively spent 4333 hours this year bringing comfort and healing to 70,000+ people. Our thanks to the Brunch Committee, the Board, our Brunch Sponsors, and all who attended this amazing annual event. Your generosity will allow us to continue to build connections and improve lives through animal visitation … one cold nose at a time! CLICK HERE for an electronic version of the Champagne Brunch Program! 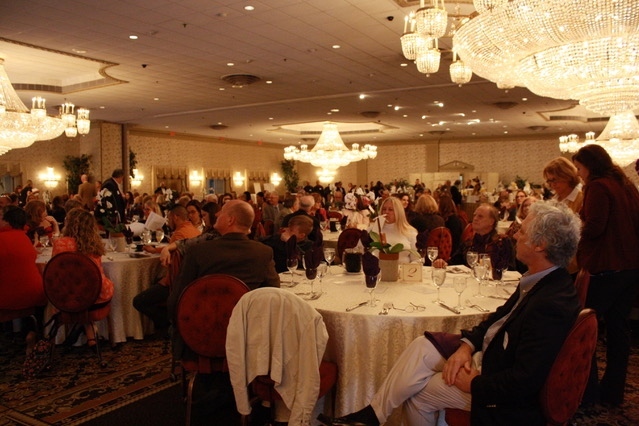 The 5 Paw Sponsor and Honoree for this year’s event is Summit Medical Group Foundation, which was established in 2013 by Summit Medical Group (“SMG”), New Jersey’s oldest and largest private multispecialty physician group, to grow its culture of philanthropy and further its nearly 100-year legacy of providing programs and services that extend far beyond traditional medical care. 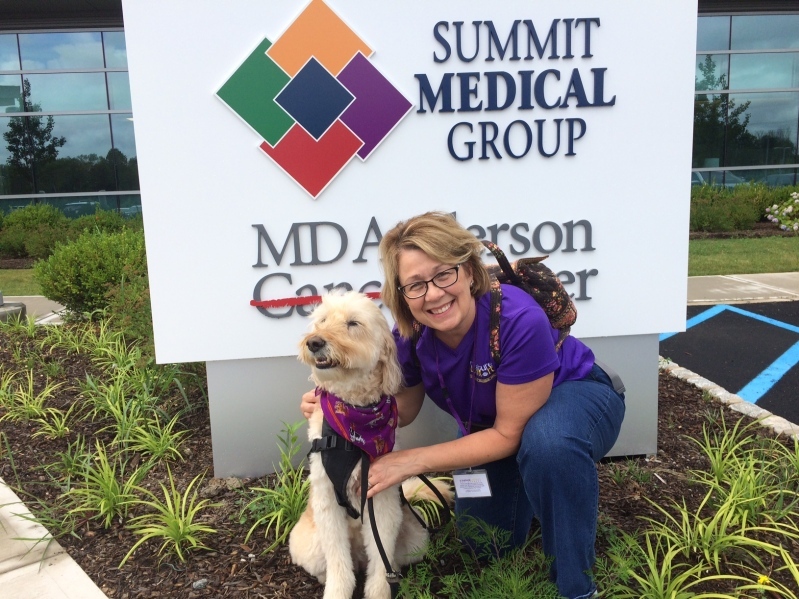 CCPT pet therapy teams visit SMG’s comprehensive care facilities twice a week to bring healing comfort to cancer patients.